Artificial Intelligence and Machine Learning are a set of technologies that empower machines and computers to learn and evolve upon their own learning through constant reiteration and consistent data bank upgrades. The entire chain of mechanism stands on recursive experiments and human intervention. Advances in technology have greatly benefited the field of prosthetics in the last few years. Today’s prosthetic limbs are made using space-age materials that provide increased durability and function. 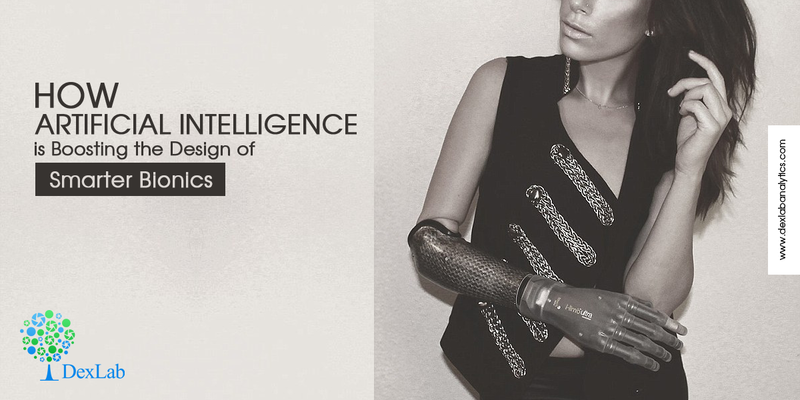 In addition, many prosthetics make use of bionic technology. These types of prosthetics are called myoelectric prosthetics. Myoelectric prosthetics picks up the electrical action potential from the residual muscles in the amputated limb. Upon receiving the action potentials, the prosthetic amplifies the signal using a rechargeable battery. Detected signal can be used further into usable information to drive a control system. Artificial Intelligence helps to identify motion commands for the control of a prosthetic arm by evidence accumulation. It is able to accommodate inter-individual differences and requires little computing time in the pattern recognition. This allows more freedom and doesn’t require the person to perform frequent, strenuous muscle contractions. The inclusion of AI technology in prosthetics has helped thousands of amputees return to daily activities. While technologies that make bionic implants possible are still in infancy stage, many bionic items already exist. 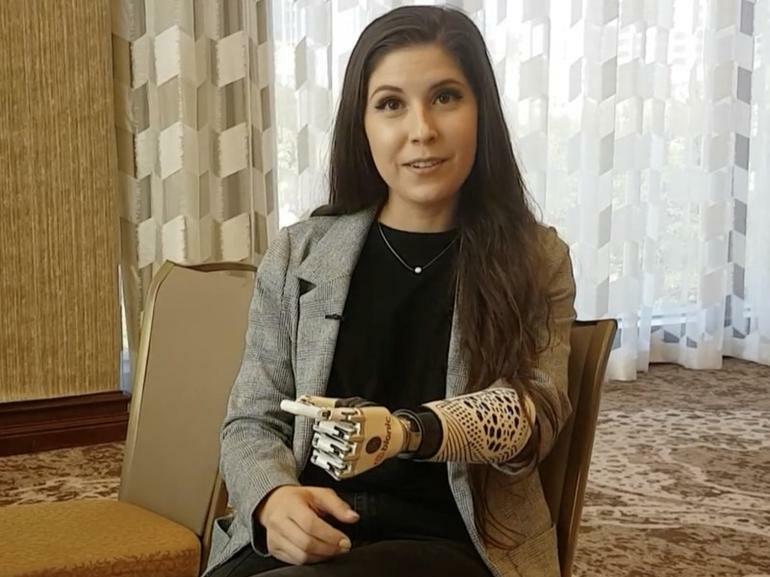 Angel Giuffria is an amputee actress and Ottobock Healthcare’s Brand Champion who has been wearing electromechanical devices since she was four months old. Following are excerpts of an interview with her. She also spoke about prosthetics like the Michelangelo Hand which is stronger, faster and has multiple hook options. Modern additions to prosthetics such as lights and cameras are added advantages. She describes her hand to be able to do multiple functions like change grip patterns and control wrist movements which enable her to hold small items like keys and credit cards. 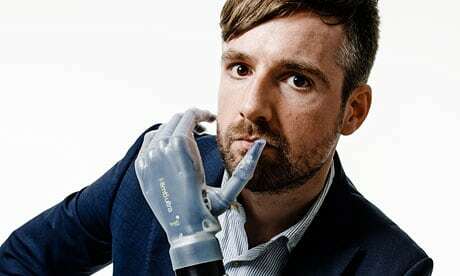 Bertolt Meyer’s amazing bionic hand controlled via an iPhone app is another glimpse at the advances being made in prosthetics. In 2009, Meyer, a social psychologist at the University of Zurich was fitted with an i-limb, a state-of-the-art bionic prosthesis developed by a Scottish company, Touch Bionics, which comes with an aluminum chassis and 24 different grip patterns. To select a new suite of gestures, Meyer simply taps an app on his iPhone. He describes his i-limb to be the first, where aesthetics match engineering. In the world of prosthetics, function is the key. Most amputees are constantly searching for the same level of functionality that they enjoyed before they lost their limb. With the introduction of artificial intelligence in prosthetic limbs, amputees are closer to their goals than ever before. Bionics having access to the relevant databases are capable of learning new things in a programmed manner which improves their performance. For more such interesting blogs follow Dexlab Analytics. Also take a look at the Machine Learning courses being offered by Dexlab Analytics– a premier analytics training institute in Gurgaon.